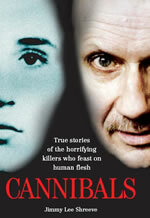 Jimmy Lee Shreeve is a bestselling cult author and journalist. 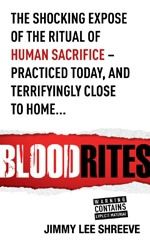 His books include "How To Be Famous" (Orion), the cult classic "Doktor Snake’s Voodoo Spellbook" (St Martin’s Press), "Cannibals" (John Blake), "Blood Rites" (Random House), and "Human Sacrifice" (Barricade). Jimmy’s byline and work has appeared in over 1000 newspapers, magazines and online media all over the world, including The Independent, Financial Times, Sunday Express, The Guardian, Sunday Telegraph, Daily Express, Mail On Sunday, Best Magazine, Chat, How To Spend It, Maxim, Front, and The Sun. 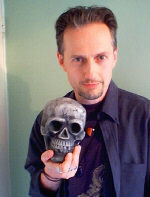 As Dr. Snake, he is author of "Doktor Snake's Voodoo Spellbook", published in the USA by St. Martin's Press and in the UK by Connections. With evocative illustrations by Chris Daunt, the book has sold over 100,000 copies and has been described as "Carlos Castaneda meets deep south hoodoo." Jimmy's DoktorSnake.com is a very popular website, offering voodoo spells, charms and psychic readings "for all your needs."